POLL RESULTS: Movies You Would See Without Watching a Trailer? Last week ComingSoon.net asked our readers a question: Would we see the movie sight unseen without ever seeing a frame of footage from it? We conducted a poll which well over 3000 of you participated in, and now we have the results, including the Top 5 and Bottom 5 movies you would see without watching a trailer! First up is the main question, which is would you EVER see a film without catching the trailer first? A resounding 88% (2371) of respondents said YES, they would see a movie sight unseen. Only 12% (321) of you said you wouldn’t, which means there’s a lot of adventurous viewers out there who believe in certain directors and franchises to deliver a great movie no matter what. 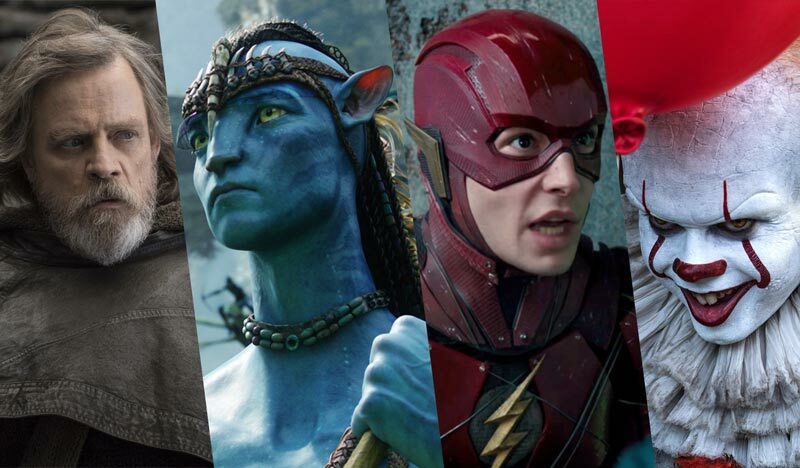 It comes as no surprise that our audience loves Marvel, DC and Star Wars films, as those regularly form the trifecta of big interest from fans. With the much anticipated final installment of the Star Wars Saga bringing the Skywalker story to a close after over 40 years and tying together three of the most popular trilogies of all-time, it’s a no brainer that the still-untitled Episode IX would be #1. Another thing we expected was to huge Marvel dominance, although the popularity of the Doctor Strange franchise is surprising. Yet it makes sense, since Benedict Cumberbatch’s portrayal of the character in three films so far has proved very popular, with the addition of returning director Scott Derrickson making it a sure bet to please. It’s a similar case with the hugely popular Black Panther, whose sequel is also bringing back director Ryan Coogler. Guardians 3 is a bit of a wild card with no director in place, but with Marvel retaining fired filmmaker James Gunn’s script we can assume the franchise is in good shape. As for The Batman, DC has given Planet of the Apes franchise filmmaker Matt Reeves a lot of time to develop this new film, which will revamp the character sans Ben Affleck. Clearly enough fans believe in Reeves and want to see a new iteration of the caped crusader done with more of an emphasis on his detective abilities. These five movies could barely scrape up any interest from CS readers, who clearly need a great trailer to get them excited. With Charlie’s Angels its been over 15 years since the disastrous Charlie’s Angels: Full Throttle killed the promising franchise, and even with kickass female leads like Naomi Scott, Kristen Stewart and Ella Balinska the reboot has its work cut out for it. As for Doctor Dolittle, even the star power of Iron Man himself Robert Downey Jr. isn’t enough to make the children’s book adaptation appealing, giving it the lowest interest level of all the films on our list. On top of that, the last movie to bare the Doctor Dolittle title, 2001’s Doctor Dolittle 2, had little to do with the Hugh Lofting source material. It’s also bad news for Sony’s fledgling attempt at adapting the Valiant comic book universe with Bloodshot, which has Vin Diesel (and not much else) going for it. Steven Spielberg’s upcoming big screen remake of the musical West Side Story has Baby Driver‘s Ansel Elgort in the lead, but may not be our readers’ cup of tea. Fans are surprisingly not interested in the animated version of SEGA video game Sonic the Hedgehog, perhaps because the character’s time has passed. What surprised you the most about these results? Let us know in the comments below!